Located West of Wyevale,Ontario, this important archaeological site was first recorded by Andrew Hunter in 1899. In 1950, anthropologist and historian, J. Russel Harper, conducted a limited archaeological excavation on the site, which revealed the earliest known Huron Settlement patterns consisting of an early longhouse. Subsequent work on the site by Frank Ridley, Jamie Hunter and other collectors have provided researchers with the opportunity to carry out an analysis of early Huron settlement in the sand plains of Springwater and Tiny Townships. This collection donated by the family represents nearly 150 years of collecting by various family members. Our sincerest thanks to John Barber-Williams for adding 168 artifacts from a significant collection from the Webb Site to Huronia Museum’s growing collection. The two photos show ceramic pipe bowls and stems, a few rim sherds and a selection of worked bone artifacts. Here our volunteer, Dayle Elder, works on accessioning the Webb Site articles for the collection. For further information contact Jamie Hunter – Director/Curator of Huronia Museum, Midland, Ontario, Canada. 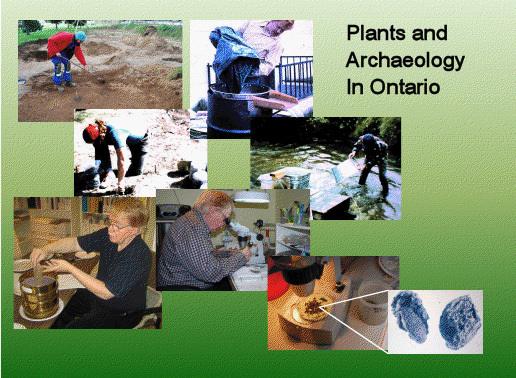 You can also learn more about the archaeological activities going on in Huronia by visiting the Huronia Chapter of the Ontario Archaeological Society.